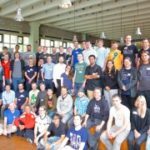 The ownCloud Contributor Conference started Friday the 28th of August with ownCloud contributors gathering in the hacking rooms at the TU Berlin. Saturday saw some exciting keynotes and announcements, as well as a series of lightning talks, workshops and our live stream of interviews in the afternoon. Sunday continued with more lightning talks, workshops and hacking. Read on for an impression of the conference proceedings! 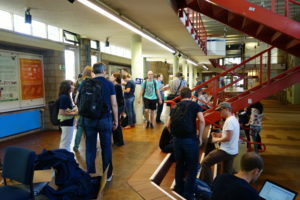 The conference took off on Friday, welcoming some 60 enthusiastic programmers and other contributors during the day. With so many people there, it was hard to keep track of what was going on, so we have a few pictures below. 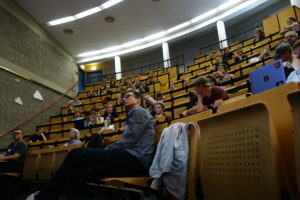 Saturday started our program of talks and workshops. After an opening by Frank recapping how the conference has grown from a small room with five people to about 100 participants in the room this year, German Theater Director Angela Richter explained us how she got the idea of doing a play about digital surveillance. It was fascinating to hear how she interviewed famous whistle blowers and put together a play which fused live television, theater and real-time hacking and spying on the devices of the audience. We will get her talk up on YouTube as soon as we can so you can enjoy it, too! 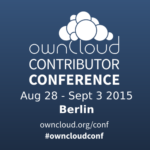 Following her was ownCloud community founder and Inc. co-founder and CTO Frank Karlitschek. He shared several exciting announcements which we covered on Sunday in this blog. As a recap, we were delighted by the news that a new version of the User Data Manifesto was published, supported by many major organizations. ownCloud, Inc. announced Security Bug Bounties, which rewards security researchers for responsibly disclosing security issues, helping to keep ownCloud users safe. 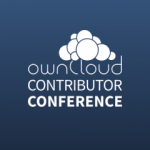 Last and not least, ownCloud Proxy was announced, a service which provides an easy way around routers and firewalls. 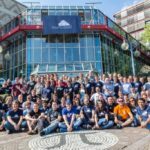 Combined with the new, official pre-configured ownCloud VM, this helps ownCloud reach a wider audience of people for whom configuring and running a Linux server is a serious barrier. 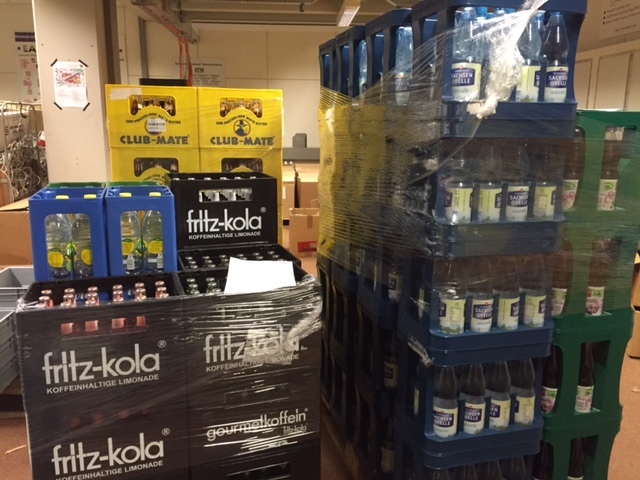 A short break followed for coffee, tea and a small sample of the many fancy Berliner soft drinks, with tastes varying from melon, passion fruit and pomegranate to coffee-cola – many, of course, bio, vegan, pure-juice, moon-light-grown, hippie compatible and so on. We can only recommend participants to try the more exotic types like pear-rosemary, date-pomegranate, tarragon-ginger and so on at a ‘Spatie‘ in Berlin. 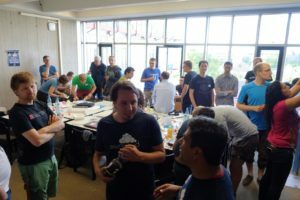 We continued with about a dozen lighting talks, covering such things as the brand new Gallery app, the State of ownCloud Security and Encryption 2.0, LDAP and Client Side Encryption for ownCloud. After lunch (free pizza!) we had a group photo. 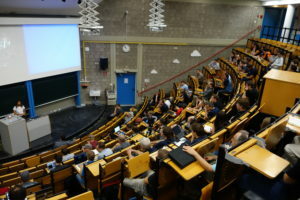 Following picture time the program continued with workshops on how to develop ownCloud apps, how to integrate ownCloud in your app or service, LDAP, Sabre/DAV, design and more. 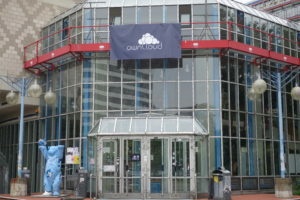 At the same time, the hacking rooms were open and people gathered to get work done on various areas of ownCloud. The evening kicked off with a barbecue at the beer garden at the river, providing a great time for conversation and relaxation. Sunday continued with more of the same goodness – lightning talks in the morning, covering design, music, bookmarks, testing, the ownCloud iOS and desktop apps, Delta Syncing in the desktop client and much more. As lunch, we had burgers freshly served from a burger truck outside. 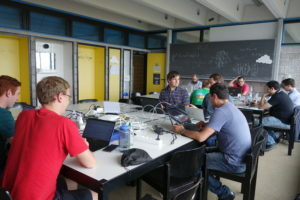 The afternoon had more workshops covering contribution to the ownCloud core, the mobile and desktop apps and security, while the hacking rooms provided space for coding. You can get a feeling of the event on Twitter searching for the #ownCloudConf hashtag. The next three days continued in the hacking rooms, as well as gathering for planned and ad-hoc meetings, testing, writing code and designing ownCloud. A lot of work got done but while we work hard, we also play hard. Not just while throwing frisbees in the hallway but going out and having a good time in Berlin, too. 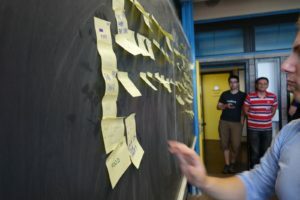 Wednesday afternoon, a retrospective was done, where everybody grouped up and shared their thoughts on the event using post-its on a blackboard (yeah, they stick just fine). 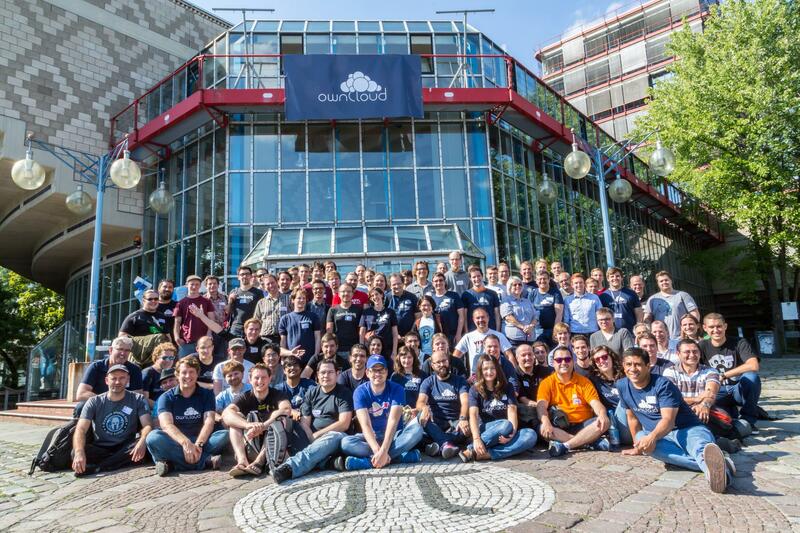 Building something like ownCloud means being part of a crazy ride. An event like the conference drives this point home even more. 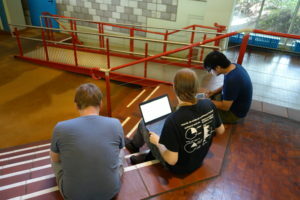 The intensity of a week of hacking, hanging with your friends and fellow community members – it is awesome and tiring. 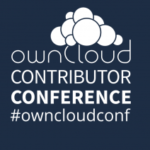 No few ownClouders needed to catch up on sleep – it was argued that one can sleep just fine at home, no need to do much of it during a conference. After all is said and done, and we’ve recovered – we go back to building our own Cloud, of course, through the usual, digital channels. If you want to be part of that, join the frenzy on github and the ownCloud development IRC chat channel on freenode.net, also accessible via webchat! And start clearing your end-of August schedule for next year!